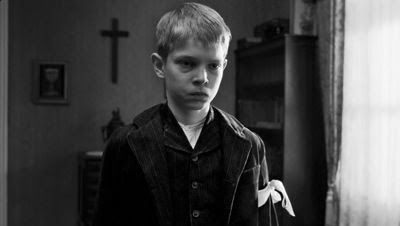 THE WHITE RIBBON, the latest film from Austrian auteur Michael Haneke, was acquired on the eve of the Cannes Film Festival for North American release by Sony Pictures Classics. The pre-Cannes buy turned out to be a master stroke, with the film going on to win Palme d'Or honors. This is the specialty US distributor's second second collaboration with Haneke, having previously released his film CACHE in 2005. The film also marks a long-standing reunion between the company and the producers Margaret Menegoz and Stefan Arndt. The film is a co-production between X-Filme Creative Pool in Germany, Les Films du Losange in France, Wega Film inAustria and Lucky Red in Italy. THE WHITE RIBBON is set just prior to the start of WWI, where the quiet life of a small German village is mysteriously eroded by a series of inexplicable events. The film marks director Haneke’s fifth Cannes competition entry, following such modern classics as FUNNY GAMES, CODE UNKNOWN, THE PIANO TEACHER and CACHE, for which Haneke won Best Director honors at Cannes.